1.1 The price of the goods shall be at the price ruling at the date of dispatch. 1.2 Where no other terms of payment have been specifically agreed in writing payment is to be made in full in cleared funds. 2.2 Carriage will be paid on all orders to England in excess of £150. Carriage will be charged on all other orders. 2.3.3 on the 7th day following notification to the buyer that the goods are ready for dispatch. 2.5 Goods sent by 2nd Class Post can not be guaranteed for delivery as these items are not traceable, orders placed for delivery by this method are done so at the buyers risk and therefore no refunds or replacement goods will be issued as a result of items missing in the post. 2.7 Except Specials, goods which are to be returned must be notified to the Company as soon as reasonably practical. Returns shall only be accepted in the Company’s absolute discretion and a handling charge of 20% of the price shall be levied against any returns except where the Company has dispatched the goods incorrectly and the goods are returned to the Company in the same condition as they were dispatched. The buyer shall be responsible for all carriage charges relating to the returning product and any replacement. Please refer to our Returns Policy for full details. 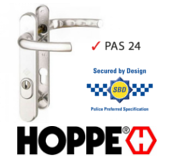 3.1 Specials are items which are not normally stocked by the Company or items which are subject to locksmith work such as keying alike, master keying and key cutting. Specials are subject to additional carriage charges and a delivery time up to 12 weeks from the date that they are ordered from the manufacturer. Specials may not be returned and once ordered cannot be cancelled or amended. 4.1 The Company shall be under no liability in respect of any defects arising from the buyer’s negligence, abnormal conditions, failure to follow the manufacturer’s instructions, misuse, alteration or repair of the goods nor in relation to any delay or failure of delivery. 8.1 We will take all reasonable care to ensure that all details, descriptions and prices of products appearing on the Website are correct at the time when the relevant information was entered onto the system. Although we aim to keep the Website as up to date as possible, the information including any product descriptions appearing on this Website at a particular time may not always reflect the position exactly at the moment you place an order. 8.2 While we will use reasonable endeavours to verify the accuracy of any information we place on the Website, we make no warranties, whether express or implied in relation to its accuracy. The Website is provided on an "as is"and "as available" basis without any representation or endorsement made and we make no warranties of any kind, whether express or implied, in relation to the Website, or any transaction that may be conducted on or through the Website including but not limited to, implied warranties of non-infringement, compatibility, security, accuracy, conditions of completeness, or any implied warranty arising from course of dealing or usage or trade. 10.1 We make no warranty that the Website will meet your requirements or will be uninterrupted, timely or error-free, that defects will be corrected, or that the site or the server that makes it available are free of viruses or bugs or represents the full functionality, accuracy, reliability of the Website. We will not be responsible or liable to you for any loss of content or material uploaded or transmitted through the Website.